The Dennis Sehorn Foundation is a 100% volunteer operated, 501(c)(3) organization working to provide support to PALS (People with ALS/Lou Gehrig’s). Our mission is to do what we can to ease the physical and financial burdens from this debilitating disease. Your donations go directly to PALS and their families to assist with medical, caregiver and quality of life expenses. Most other organizations are focused on research related to treating, curing or preventing ALS. We understand the importance of organizations like these, however we feel it is our responsibility to offer our support and assistance to those living with ALS. 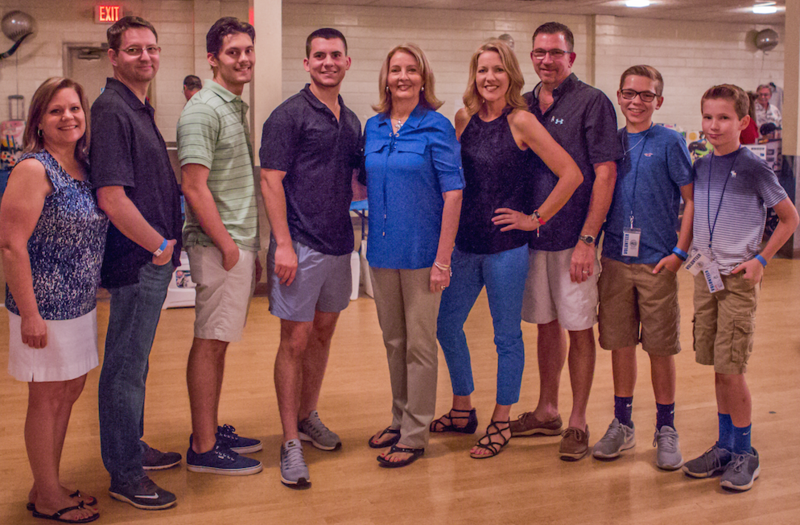 Pictured below is the Family of Dennis Sehorn at the 5th ALS Fundraiser which was held in June of 2017. We are pleased to announce that we cleared just over $106K. A HUGE thank you to those that came out and supported us, to our sponsors and to our amazing volunteers that helped us make the night a success! This Foundation was founded by family and friends in memory of Dennis Sehorn. He bravely fought ALS from 2004 – 2008. He spent the last 3 years of his life on a portable ventilator. We are blessed to be able to honor this great man by giving to others – he always gave so much to his family and friends. His legacy lives on as we work together to assist other PALS. Thanks to everyone who supports our mission by volunteering your time or making donations…together we are making a difference in the lives of our PALS!